Bella needs our help this Jeans for Genes Day to cure childhood diseases. When Bella's nose leaked while breastfeeding, doctors said it was normal. Her mum knew it wasn't. Our little girl Bella was born on the 13th of June 2013, she was our fourth baby. 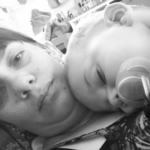 Compared to my other pregnancies, this was a very different and difficult pregnancy with gestational diabetes, polyhydramnios. In the end I was induced due to reduced foetal movement. Despite all this, she was truly a blessing and we couldn’t be happier to have our little girl. But our joy was short-lived, with complications starting before we even left hospital. I always knew from birth something just wasn’t quite right with our very quiet, content bubba. She had a heart murmur, and the first sign was her nasal regurgitation and milk leaking from her nose when she breastfed. Doctors constantly told me it was normal and that it would resolve itself eventually. A month later, I found Bella unresponsive and blue. She was choking and when she stopped breathing due to her own spit which continued to come up, blocking her airway with the nasal regurgitation. Words cannot describe what it&apos;s like finding your child like this and trying to act without panicking. It all still seems like such a blur. I was going in to give her a dream feed before going to bed myself. She was just laying there, eyes huge, almost pleading with me to help her as she was silently turning blue. I screamed for my husband who was asleep in our son&apos;s bed while picking her up trying to clear her airway and patting her on the back. After what seemed like forever, she took a small breath before she had a shaking episode and fell asleep. We rushed to emergency at our local hospital, which luckily was only five minutes away, where they took her straight into resuscitation and she was monitored. She was hospitalised and she was discharged. Even though doctors still told me it was normal, my instincts told me otherwise. Doctors couldn&apos;t find anything wrong and said that, as she vomited from her nose, that it would most likely happen again. They suggested keeping her upright after feeds and watching her closely. For months afterwards I slept on the lounge every night with her next to me in her rocker, too scared to sleep properly. Apart from the school run, I didn&apos;t go in the car where I couldn&apos;t see her, but even then Bella&apos;s older sister had to pull her out of her seat multiple times to sit her upright and get her breathing again. It was such a stressful, emotional time, feeling like we could actually lose our girl. I have four children; I wasn’t a first-time mum. I knew something wasn’t right. The next indicator was her slow-to-no weight gain, and failure to reach basic milestones. But still, doctors told me it was all okay and that she would get there in her own time. Bella’s weight dropped off the growth chart and it took four months to get back to her birth weight. Bella was just observed, with no other intervention, as her facial features resembled that of a normal child. She was constantly sick, picking up every bug. In her short life, she has had more sick days than well days. Next, the chronic constipation started and food allergies that, once again, had her dropping further off the growth chart. Her low muscle tone had her falling more and more behind with her milestones. She was always such a quiet baby, rarely laughing (but always smiling) with many people commenting how much of a quiet, good baby she was, which we now know was something more than just good temperament. Eventually, she was referred to a speech therapist who agreed things were not normal and referred her to have a ‘swallow study’ performed, which showed she had velopharyngal dysfunction and under-developed motor skills in her mouth. Occupational Therapy (OT) and physiotherapy showed she had a global developmental delay in ALL areas. This, together with another admission to hospital on a nasal gastric tube (and much pushing from me), forced doctors to do genetic testing at 16 months. Finally, we had a diagnosis. Having a diagnosis was really relieving, because we always knew something wasn’t right. Although, it was upsetting to know she had something that would affect her whole life. At 16 months of age, Bella was officially diagnosed with 22q or DiGeorge syndrome (there’s a few different names for the conditions), a disorder that results in poor development of several bodily systems. Each case varies, and Bella faces a raft of difficulties, including being globally developmentally delayed and non-verbal. She has a low immune system and doesn’t respond appropriately to immunisation. She also has Bernard Soulier syndrome, which causes her to bleed more profusely from wounds, and her blood levels drop very easily. It took a while for the reality of Bella&apos;s condition to sink in, but honestly, on some level, I think we already knew the weight of the difficulties she was going to face. Currently, there is no cure for 22q deletion, there is only treatment for the different challenges that 22q presents. We can only surround her with all the love and support she needs, she is the light of our family and truly brightens our every day. Having a child with a disability puts a huge toll on a relationship, family. As a mother, I always worry I am not giving my other children the attention they deserve, as Bella has significant sensory and anxiety issues, meaning she is very attached to me. I was running my own business when she was born, which I had to stop to take care of her and attend all her appointments, as well as try to manage the financial costs of the trips to see specialists, medication and equipment. My husband and I don&apos;t get the chance to spend a lot of quality time together. He works extremely hard to provide for us all, providing the only wage for the family, and we always have to make sure if we go anywhere that no one is sick due to Bella&apos;s low immune system. It has also meant she can&apos;t attend daycare or play groups. But in saying that, I wouldn&apos;t be the same mother, wife, woman I am today without Bella and 22q, we are not complete without her… our little bumblebee. Bella has a high incidence of the problems associated with her disability, but with her range of doctors, specialists, loving family, friends and therapists, she is thriving every day. Bella’s future is uncertain but despite her diagnosis, Bella has a sunny personality. She loves posing in photographs, meeting new people, and she loves her siblings. The best time of the day is when Ameliah, Lucas and Connor come home from school. Fundraising and awareness campaigns like ‘Jeans for Genes Day’ is so important to not only families that have a child with a disability, but to the whole community. You never know when someone you love may be touched by childhood illness. I feel that the hope of a cure one day or even early detection gives families a little bit of hope, early intervention is so important to a child&apos;s development so having a diagnosis as early as possible is critical. ‘Jeans for Genes’ and the awareness it creates around unknown conditions is what we need as so many people have never heard of Bella&apos;s deletion syndrome despite research indicating that it is the second most common genetic condition to Down Syndrome. ‘Jeans for Genes’ is such an iconic fundraiser, I remember taking part as a child myself and now in its 24th year it has already made such a difference to children across the country. Genetic diseases effect one in 20 children on average and having that research is amazing. Even if Bella&apos;s story reaches out and touches one family looking for that missing piece to their puzzle, looking for a diagnosis or struggling with a new one, I feel like we would have made a difference. Remember to donate and wear your jeans on Friday August 4th and support children like Bella. Register now at www.jeansforgenes.org.au.